Jews around the world are hitting the streets. Their patience has worn thin. 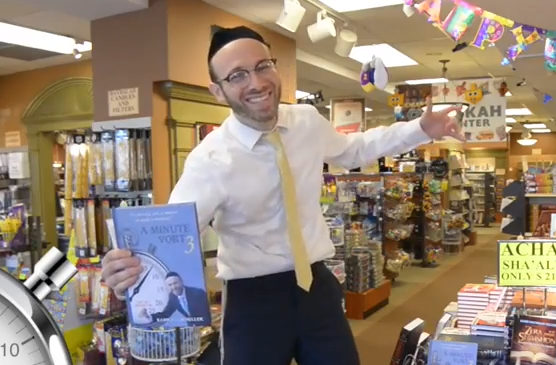 It seems like they are all heading to their local judaica stores to purchase the new sefer ‘A Minute Vort 3’ on the parsha. However, some reporters have noted that many Jews have used the online option to purchase this elegant sefer from feldheim.com. Either way analysts on both sides agree that the price of $12.99 (while supplies last) is phenomenal. CLICK HERE to purchase the Sefer.